Paris, the city of lights, it have been in the news these last days for many reasons very important for the planet, and trivial ones too. Important news for example, the Paris climate agreement was ratified in September by 60 countries, becoming closer to be an international law; trivial news like that of a strange robbery to an american socialite made headlines in her country; and the center of this article: the Paris Motor Show 2016. 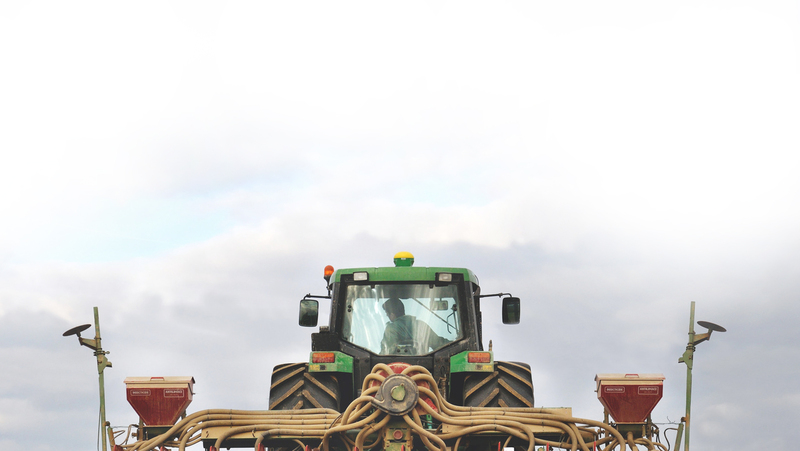 You would start thinking we have gone astray, this is a blog about tractors after all, but as JRR Tolkien said “Not all those who wander are lost”…and this week’s topic wasn’t chosen so randomly , we hope you’ll share our reasons by the end of this article . But we started talking about Volkswagen, and its last bet…or BMW, Or Daimler…as every year they presented jaw-dropping cars, with surprising advances in technology, connectivity and gadgets, but there is more than meets the eye this year. 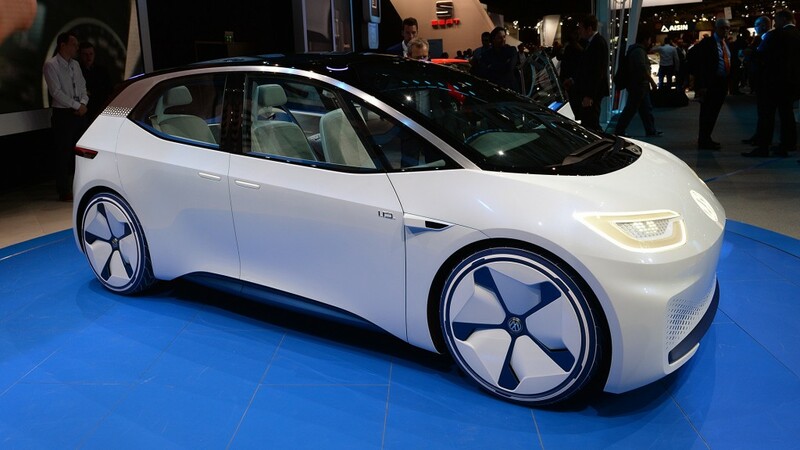 Take the Volkswagen ID, for example, which made everybody forget about the diesel scandal at the Paris Motor Show, when the german carmaker unveiled the electric I.D. Concept. This time we are not detailing in the features of the individual car, what is interesting for this article is that the automaker announced that it established a subsidiary for ride-sharing purposes. The company addition of mobility services (or better put, added Value) in the form of a carpooling service, will compete against Uber and Lyft, and will include teaming up with Gett – a cab-hailing startup that operates in roughly 70 cities worldwide, VW invested already $300 million in the company. “You have competing brands which are putting their data together to create very unique services which were not possible before,” Bruno Bourguet, HERE’s global head of sales, said in an interview for Reuters. Data collected from vehicles participating in the network, includes drawn from brakes, windshield wipers, headlights, location systems, cameras and other sensors, are translated into alerts on driver dashboards using the HERE services. Collecting sophisticated data from millions of cars on the road promises to give HERE a substantial lead over technology rivals such as Google, Apple, Tesla and TomTom, which have access to data from far fewer vehicles to collect so-called crowd-sourced data, analysts say. BMW, Daimler, and VW team-up and test new software. The companies decided to cooperate to produce crowd-sourced data as a tool to fight back the threat posed by Silicon Valley firms developing autonomous driving systems, is interesting that car makers are cooperating in areas where they might have been expected to compete. “This is how the automotive industry may be able to fight off the threat that Apple and particularly Google represent to their brands as digital services become more and more important,” technology investment analyst Richard Windsor said. BMW, Daimler, and VW’s, Audi announced this week they would launch new traffic monitoring services next year which give drivers a view of road conditions miles ahead. They are based on video data collected from sensors in other cars and fed to the three carmakers’ jointly-owned navigation mapping services firm HERE. Separately HERE’s Dutch rival TomTom NV on Thursday announced traffic data deals with truckmaker Volvo and carmaker Skoda, a VW subsidiary. Also General Motors, Nissan, and VW are experimenting with a plan to pull video data captured by their customers’ vehicles using Israeli firm Mobileye’s camera-based sensor systems, that may soon give automakers an edge over the likes of Google in the precision-mapping required for driverless cars. At the same time carmakers are now racing to build self-driving vehicles over the next five years, a dramatic acceleration in pace from the 10- to 15-year timeframes many had charted until pushed to speed up the process by the advances made by Google and Tesla. “We see the car transforming from a product into the ultimate platform,” Daimler chairman Dieter Zetsche told reporters in Paris. “Gradually all of the car manufacturers will have to get more and more involved in managing data. It’s natural. We’re going to have to work much more collaboratively,” Stewart Callegari, a Nissan product planning executive for driverless cars told reporters at the Paris show. And how all this will affect the final user? An interesting article called “The future of the Man Cave” Ben Benoy stated that your smartphone can hail you a ride, but it can’t give you a ride. It can’t even provide its own power generation to broadcast a signal and act like a mobile cellular network! The real question is: How much more productivity can we squeeze out of the cell-phone by adding new software applications, updating the processing power and screen sizes, or extending battery life? The answer is not as much as updating your car! The key is in the size and capabilities of the platform. All new vehicles today already come with computers that enhance their basic functions, such as engine performance and drivability. These computers are more focused on enhancing the capability of the vehicle rather than the passenger riding inside. And is there where might be lying the future of the car as tool for improving quality of life of the society, and the productivity of the individual. If carmakers can team-up to share data in order to benefit their users…tractor-makers can do so, can’t they?